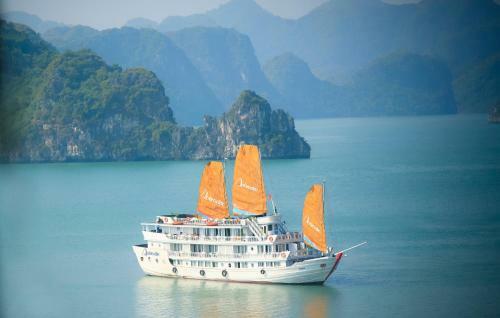 Aphrodite Cruise cruises around the UNESCO World Heritage-listed Ha Long Bay. Offering rooms with sea views, it also features free Tai Chi lessons, free movies and use of board games, and chargeable activities such as kayaking and snorkelling. 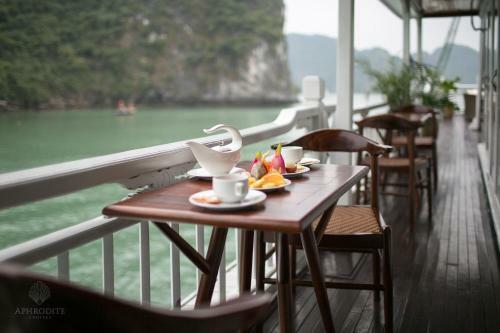 From Ha Long Bay, the city of Hanoi and the Noi Bai International Airport are a 4-hour drive away. 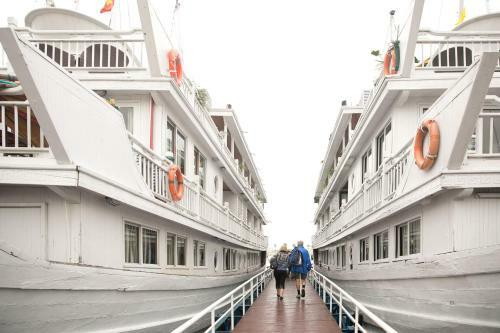 Located either on the upper or lower deck, rooms and suites offer an en suite bathroom with hot shower facilities and toiletries. Select room types come with a spa bath and a terrace. Open from 06:30 to 20:30, the restaurant serves Vietnamese and Western delights, while the bar offers up snacks and drinks. The 24-hour reception staff can assist with luggage storage, laundry and ironing requests. Massage services are also available at a surcharge.